Finally SM Entertainment has to release TVXQ comeback with only 2 members namely U-Know Yunho and Choikang Changmin. It’s been a year since SM Entertainment released the “return” ultimatum to the three members Micky Yoochun, Xiah Junsu, and Youngwoong Jaejoong in last November. 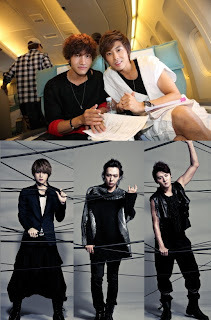 At that time, SM Entertainment released a statement to reporters through a public press conference, “We will start the activities of TVXQ in spring 2010, we’re welcoming them to comeback before then.” After the previous announcement, SM who had been waiting for a year, has to formulated the comeback of TVXQ to consist only 2 members eventually. The two members will return to music industry with a new album in spring 2011, activities schedule that ranges from Japan, Korea, and all over Asia is expected to unfold. Since TVXQ was highly popular, whether the TVXQ that only consists of 2 members is able to keep the big name of their own group starting to become a hot issue recently. SM on the 23rd at the official website, “As been implied by the preliminary injunction rule, TVXQ activities should be held under SM. We had proposed to the three members to have activities as TVXQ, unfortunately we keep hearing nothing from them. Therefore in consideration to the long future of the group, we have to make this following decision.” explaining the background of the two members’ comeback. The remaining three members, in the other hand, had formed a new group called JYJ and already started to mark their start by launching their first album ‘The Beginning’. ‘The Beginning’ stands for ‘a brand new start’ and is released in both South Korea and United States through Warner Music. It seems that JYJ has committed for a prolonged activities.